Christoper A. Manor joined Stafford Hospitality October 2009. With his desire to grow in the hospitality industry, he is a full time student at University of South Carolina, Bluffton, Carolina and is majoring in Hospitality Management. 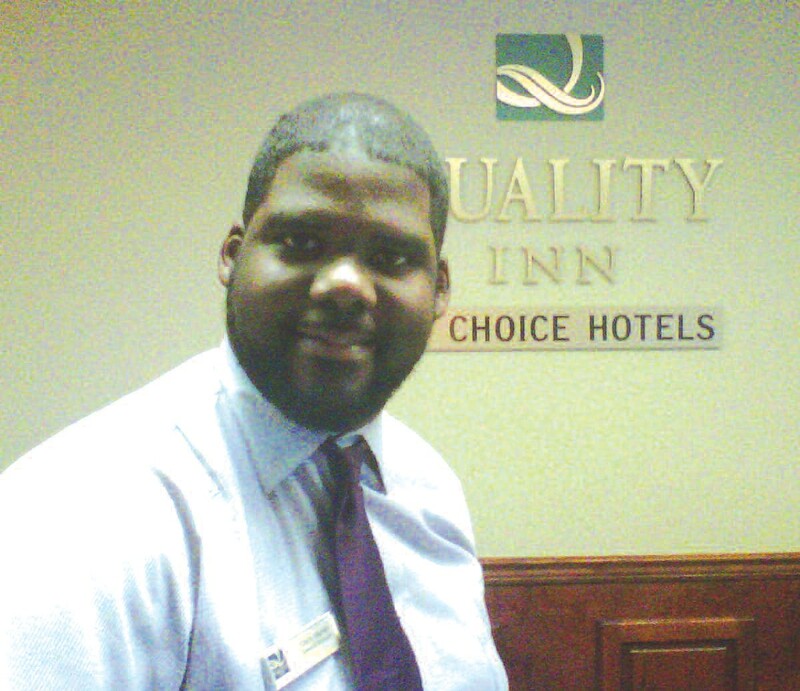 Chris has served in several areas of the Hospitality Industry within Savannah, GA.
After joining Stafford Hospitality as the Assistant General Manager, his strong work ethic and dedication thrusted him to the forefront, and he was promoted to General Manager of Quality Inn Savannah Midtown at the young age of 28 years old. In his free time, he enjoys playing his trombone in the United House of Prayer’s Praise Band. To his Masonic family, he is known as Past Master Manor. He is the treasurer for Prince Hall Lodge #28. Manor is a devoted husband, father and family man. He is also a mentor for young men at Youth Challenge Academy in Ft. Gordon, GA. Chris’ motto in life is “Do what you have to do, so you can do what you want to do”. Stafford Development Company is a second-generation family business based in Tifton, Georgia. Stafford Development Company now operates five core businesses: real estate, equipment sales and service, hospitality, foods, and ventures. Though diverse in terms of operation and people, the common thread to our customers is service. Our success is ultimately determined on how well we take care of our customers’ needs. Stafford Hospitality is an award-winning company that owns, manages and develops a wide range of hotels. For over thirty-four years, Stafford Hospitality has distinguished itself as an employer of choice within the hospitality industry by combining the expertise of a large organization with the belief of ‘Business Goes Where It’s Invited, And Stays Where It’s Well Treated’. The satisfaction of our guests and associates is a point of focus at Stafford Hospitality.